Within walking distance to Town. Uninterrupted for those wanting to stay in-touch. A mere 2.5 Hours North of Durban. The ideal African Getaway from home. Set in the heart of tropical St Lucia, you are assured of peace and tranquility. The gateway to South Africa's very first world heritage site (iSimangaliso Wetland Park). Luxurious and Comfortable with all the needed amenities possible. Discover and explore the very beauty that surrounds us. Lodge Afrique was developed with the client in mind. Room capacity not being the focus but rather comfort and style. This property offers only 8 luxury thatched units. 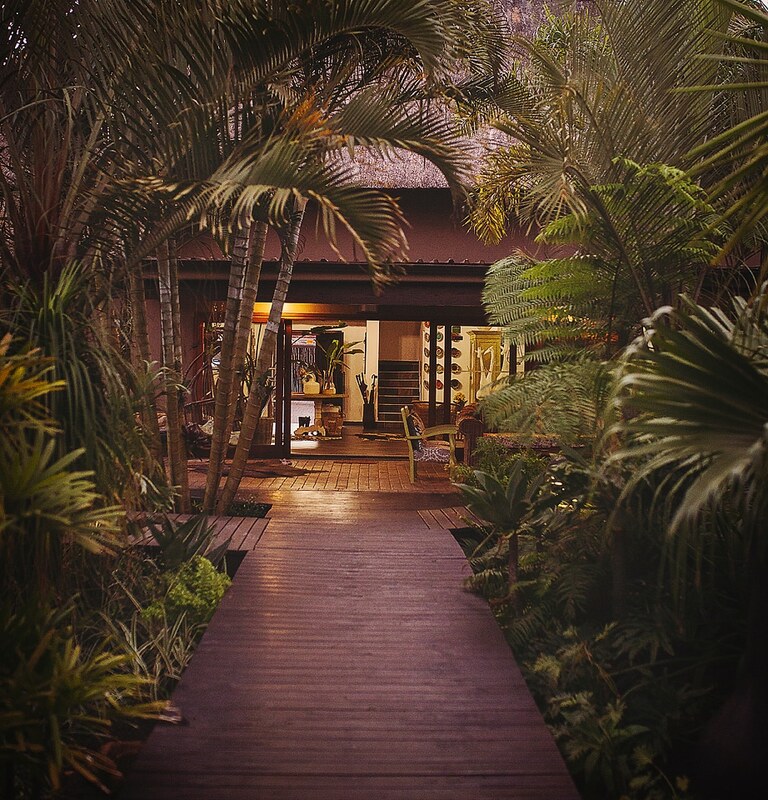 Nestled in a tropical garden one realizes exactly how incredible the setting truly is. With ample room space, stylish decoration and of course every needed amenity Lodge Afrique St Lucia may just be what you are looking for. One may enjoy the peaceful surroundings, lounge about at the pool area or get to know the friendly staff in the main lounge. Setting out and about from Lodge Afrique is easy, within walking distance to town. Keep a head's up for the local Hippo's though. Complimentary wifi throughout the property ensures keeping in touch with the loved ones. Off street secure parking, info desk for all of those important decisions while on holiday. Better yet keep in mind that our friendly staff are here to make sure you have a tremendous time. The accommodation was superb as it was totally private and lovely surroundings. The rooms were spacious with a large bathroom and the staff were extremely friendly and helpful. They made us very welcome and nothing was too much trouble. We did not want to leave as this was one of the best accommodations that we had staff very friendly. Every day to wake up and enjoy the freshly breakfast and cheerful smiles,The rooms are clean with beautiful decor ,The garden is sub-tropical with amazing plants,All our tours was book for us at the front desk.Staff is very organise , helpful and humble.We will definitely be back. BEAUTIFUL!! !Rooms are awesome, venue is breathtaking. People are amazing and was very helpful. All of them were very friendly and hospitable. Food was very good. Thank you for an unforgettable stay we will definitely see you again. We are not only interested in offering you accommodation, but also advise as to what is available in the local area. Once we receive your booking inquiry we will if you would like send you all of the relevant information regarding tours and safaris in the area. This may be booked on your behalf. On arrival your itinerary will be all booked and confirmed. St Lucia, once a fishing destination was awarded with World Heritage Status by UNESCO in 1999. This small quaint village can truly only be described as a wildlife paradise. The abundance of wildlife roaming freely is staggering with an estimated 800 Hippos and 1200 Nile crocodiles in the St Lucia Estuary alone. One may experience Hippos strolling down the streets at night as they go in search grass. Bush Babies are a common treat during the evenings while enjoying the tropical weather. Should you like wildlife or pristine beaches then St Lucia may just be that destination you have been looking for.